Professional Clean Resume Template - Resumes Mag. A Professional Resume Template with a clean design came in several file types…(like PSD, AI, and EPS), you’ll find a word format resume template included in the package, and all file types are very easy to edit while you have the right application. Supported Applications: Microsoft Word, Adobe Illustrator, Adobe Photoshop. 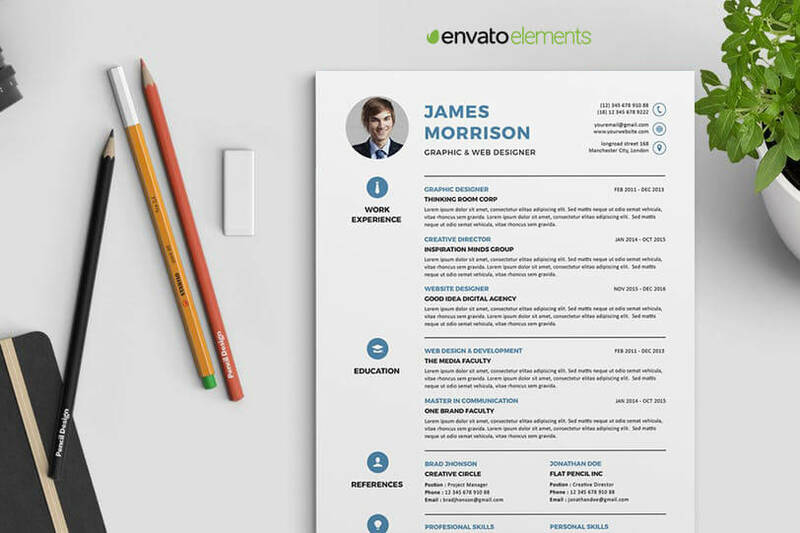 This resume template is designed by LeafLove from Envato Elements.